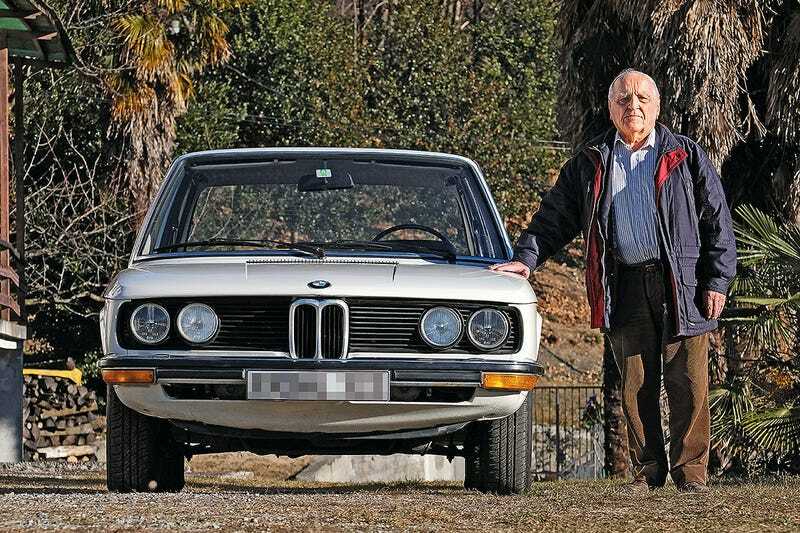 This is Heinrich Sandkamp with the E12 520 he bought in 1973 for his rental service. One of his employees signed off on the delivery and registered it to put it into rotation, but not long after that another employee found something he thought the bossman probably wouldn’t be pleased about. Paint overspray on the windows, orange peel and runners all over the driver’s side of the car. It was clear that something must have happened to it while it sat at the dealership for 9 days before delivery. The dealership contacted a BMW service rep and this is where it gets shady. Some say they offered to a) respray the car or b) a discount or c) return of the car. Sandkamp wanted to return it, and expected that to be a done deal. A lawyer told him to drive the vehicle as little as possibleand to keep it in good condition as to be able to hand it back. So he now owns a pristine E12 with less than 2000 kms on it. Congrats!? !